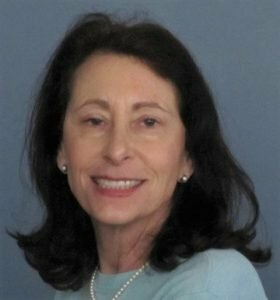 I-ACT for Children’s Dr. Carol Rosenberg (read full bio), Quality Improvement Project Manager, will co-lead a workshop at the International Meeting on Simulation in Healthcare (http://imsh2019.com/) on January 29th. Dr. Rosenberg will co-lead a workshop with Drs. Jennifer Arnold and Maria Carmen Diaz that focuses on the use of high-fidelity simulators to educate patients and their family members on post-discharge care. This simulation training is designed to increase patient/family comfort level with managing emergency and non-emergency situations that can occur post-hospital discharge. Dr. Rosenberg studied the use of simulation to teach parents of children with cancer how to care for their child’s central line at home as the focus of her graduate thesis; the study demonstrated that simulation is effective in increasing parents’ knowledge, psychomotor skills and confidence in their caregiver abilities. At I-ACT for Children, Dr. Rosenberg is using her expertise in patient and family-centered care to develop a quality improvement program for the I-ACT for Children research site network. Before joining I-ACT for Children, Dr. Rosenberg worked in quality improvement at the Johns Hopkins Children’s Center, where she also managed the Community Central Line Infection Prevention clinical trial in 15 children’s hospitals.